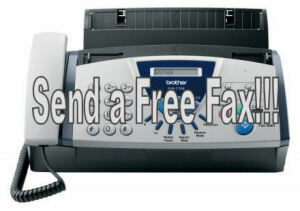 Send a free Telefax with Online Fax Service!!! Free Faxing - Send a fax online for free!!! Here are the way how to fax free online. We have tested the best Free Online Fax Service in internet. If you want to send a telefax, but don't have a fax machine or faxing software than use one of the following ways for faxing your letters and documents. Send a faxonline with one of the following fax services. No faxing software or fax machine required. Just fill out the online Fax Formular, attach a file and faxing it online!!! If you want to receive faxes you need a email provider who give you a free faxnumber. Than you can receive a faxonline too. Send a test fax for to anywhere in the United States/Canada, Western Europe and Australia! The FreeFax service let sends a three-page fax as a test. Send a faxonline to 28 countries with freefax. The fax is usually send within a few minutes. After your fax has been delivered you will receive an e-mail confirmation. You can attach only one fax message. Send internet faxes to 49 countries with PopFax. Just fill out the online form and/or attach a document with your message. You can test the fax service free. How to fax with BestFreeFax? Just fill out the online fax form and fax it. BestFreeFax gives you a better and faster way to send a FREE fax at no cost. My Fax lets you send online faxes to over 40 countries. This fax service is very easy to use. You can send 2 free fax daily. You can get also a free toll fax number for receive faxes! Alternative you can send fax to email. Send free faxonline with GotFreeFax. Free fax cover page, no ads and 3 pages per fax. 2 free faxes per day. Fax online worldwide. Faxonline from your computer or tablet to fax machines without fax software. Just use fax to email. SendFreeFax.net let you send faxes worldwide to USA and Canada without any charge. This fax service is very convinent to send files as fax as appose to print and faxing using a conventional fax machine. Send free fax with Fax Zero to Canada, USA or International. Write a message in the online fax form or attach your message as PDF, DOC or DOCX. After this you send your telefax online. Maximum 3 pages plus cover and max 5 free faxes per day. How to fax free with FreeFax.fr? Send a free fax daily. Fill out the fax form and send your telefax. You can add one file to the fax cover, text or PDF.